Caravan, camping and motorhome news : Arronbrook on a high! As 2013 came to a close, the family-run static caravan manufacturer found it was reaping the rewards of developing long-term relationships with customers at home and abroad after securing its strongest winter order book for years. Entering a time commonly regarded as the toughest trading period in the caravan industry, manufacturing companies often face difficulties maintaining order levels through to the New Year, when the market picks up again. It commonly sees a number of manufacturers take the decision to reduce production hours on site in order to cut costs. Having recently secured £200,000 worth of orders at the Cottingham Parks Lodge and Caravan Show at the end of summer, and followed that up with a large order during a recent trip to Belgium to meet with their regular clients, Arronbrook are planning ahead for 2014 safe in the knowledge that there is plenty of work to keep the factory busy all through the winter months. “This is always a tough time for the caravan manufacturing industry, especially for a manufacturing business of our size, which looks to be producing one bespoke model a day, and is not a production line of mass orders,” said director Paul Coombs. 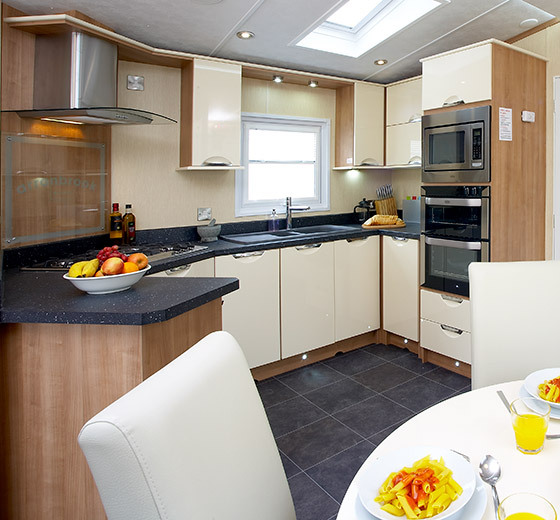 Key to Arronbrook’s continuing success is its relationships with dealers at caravan parks, where long-term agreements have been secured for sites to take the company’s leisure homes as ‘demonstrator’ models, to sell on sites. “We know the quality of our products is second to none, but we have worked hard on our pricing, and the structure of our deals with our dealers at caravan parks, to ensure we have an order book that is always ticking over, especially in the slower trading times,” added Mr Coombs.